Our large size transparent tote bag will serve as the perfect companion during important events where security is a must. 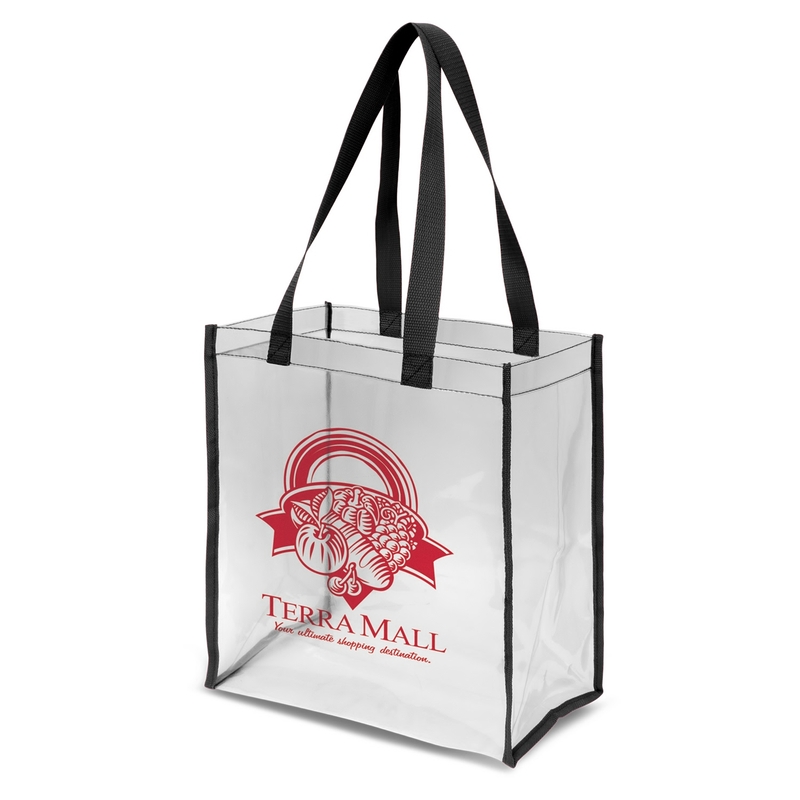 An economical way to package your merchandise. 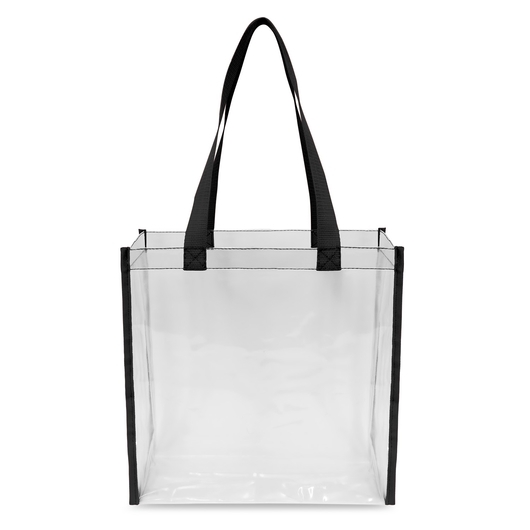 Our transparent, large size tote bag is made from soft crystal clear plastic material making transparent a new fashion in bags. It has binding on the edges for added strength and long handles so it can be comfortably carried on a shoulder. 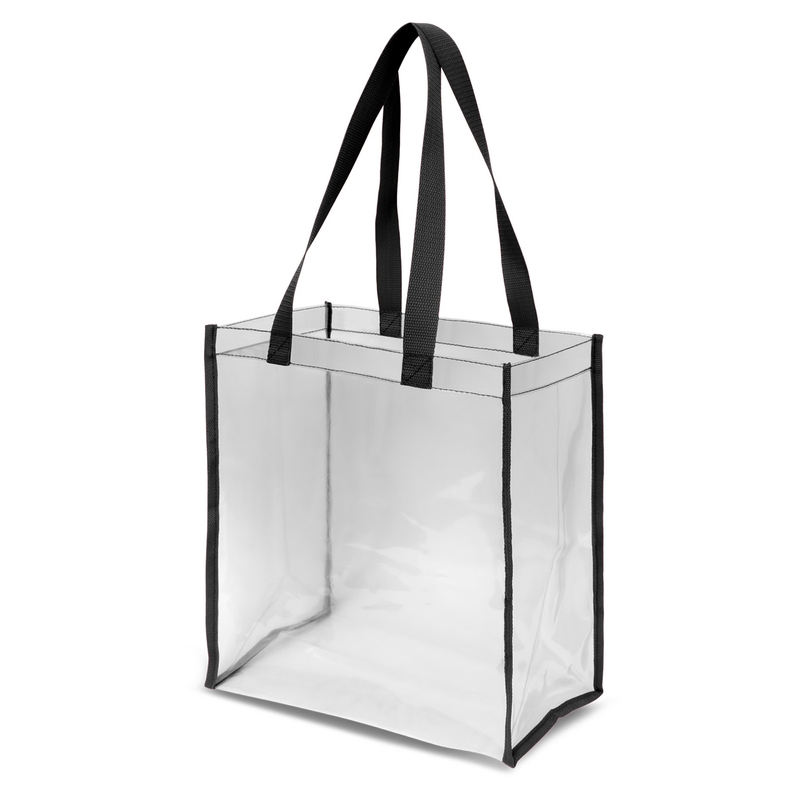 Clarity is ideal for speeding up entry to events where bag searches are required.